Honey. Where is your foundation? Give me your palette. Do you have enough glitter? Do you think I could borrow some eye shadow? And, seriously, get that tuck under control. Because this is Bushwig: the most important drag event in New York City. Starting at 1:00 PM this Saturday and ending on Sunday at 11:55 PM at Secret Project Robot on Melrose Street, Brooklyn superstars such as Horrorchata and Merrie Cherry will be taking the stage alongside rising queens and DJs from around Bushwick and the world for the festival’s third year in a row. 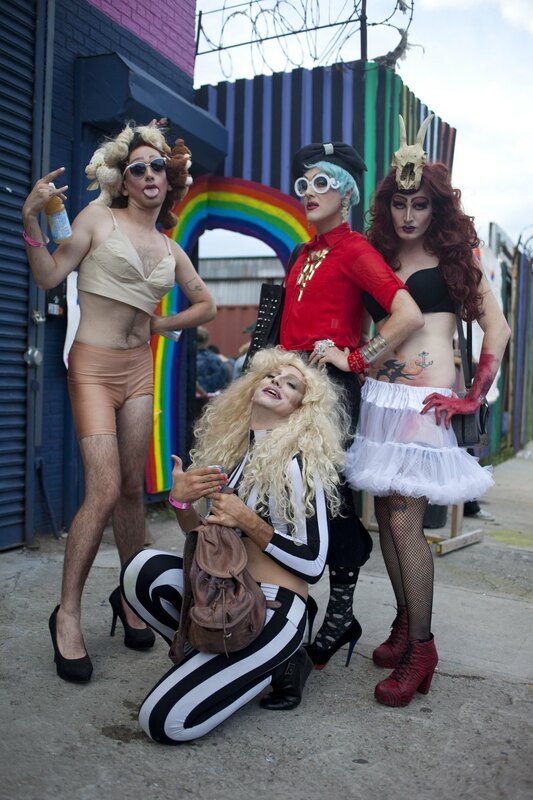 Just a quick recap of what Bushwig is for all you Johnny-come-lately’s: it is a drag festival that began in Bushwick in 2012 and is the brainchild of Horrorchata and Babes Trust. 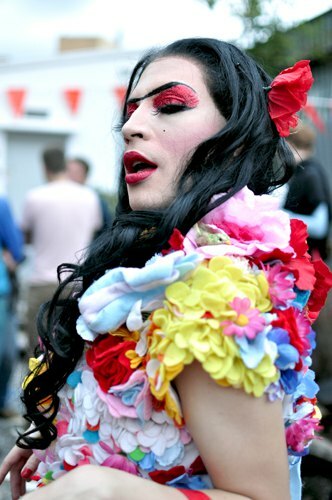 Since its first year, the festival has been growing in popularity and significance to the greater NYC drag community. This may partially be due to it being, in fact, the only drag festival in New York City. The Brooklyn drag scene has been building a reputation over the years as being particularly fringe and avant-garde, or as Horrorchata explained to the Huffington Post, “The drag scene in Brooklyn is evil and it’s full of crazy witches! Brooklyn drag is a freak show. Beware! Enter with caution.” Bushwick has embraced this sentiment and Bushwig might be considered the epicenter of that love, and it shows with the number of performers who have signed up this year. This year there will be Bushwig’s biggest so far, with more than 55 performances spanning over two days and including after-parties at Bizarre Bar and Spectrum (which will have free entry with a Bushwig wristband on Saturday before 1:30 AM). There will also be food trucks at Secret Project Robot and several surprise special guests (one of whom was in the sixth season of RuPaul). This means queer, queen or straight, all are welcome and encouraged to participate in any garb they deem appropriate. However, tickets are half off at the door if you are in drag. So do yourself a favor: throw out your heteronormative notions of sexuality and DRESS UP. Tell dad your friends made you do it, or a really strong queen with a boa and some sharp scissors. Your secret is safe with us. So get online, buy a ticket (if you haven’t already) and start picking out an outfit. This kiki is about to go off.